Nashville, TN’s own Heavy Cream has a new LP out right now on Jeffbro‘s Infinity Cat Recordings. The record is entitled Super Treatment, and doesn’t have a song longer than three minutes on it. 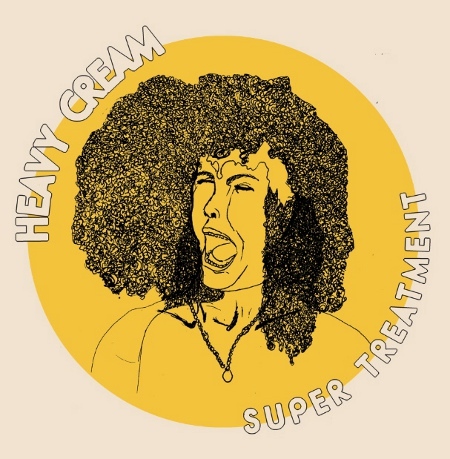 Super Treatment was produced by Mr. Ty Segall (a man who knows a thing or two about distortion and fuzz), who able to capture the insane energy of Heavy Cream‘s live show. This right here is the first single from Super Treatment. You can order the Super Treatment vinyl @ infinitycat.com. You can order the Super Treatment compact disc @ infinitycat.com. You can purchase the digital version of Super Treatment @ itunes.apple.com. And while you are at it why not pick up the Danny Cassette @ burgerrecords.org?